It’s 25 years ago that this 17 year old won Wimbledon! Though Becker has his residence and office in Zug, Switzerland, Wimbledon is his favourite home; this is as close as he can get to the Centre Court turf without laying his head beneath the umpire’s chair. “Living so close by, I’m reminded every day of my history here, and I like that,” said Becker, who has rented the house for just over a year; making him Baron Boris of Wimbledon. Becker could live anywhere, but it is in the SW19 postcode — and so close to the lawns that for the next fortnight he will be able to hear the soft popping of tennis balls being struck — that he feels most at ease. When he strolls around Wimbledon Village, the locals just let him be. Which, as Boris would put it, ‘is quite a circle’, given that his victory here in 1985 meant that it has often felt as though his life had been played out like Sushi’s, in a bowl. Becker, 42, was drawn back to south-west London. “I had a flat on the King’s Road for a long time, as I always liked to come to London, to spend the weekend here and see friends. My wife was living in Chelsea before and the move to Wimbledon wasn’t such a big change for her after all. “She never went to Wimbledon Centre Court before she met me so I was quite proud to show her for the first time,” said Becker, who married Lilly, his second wife, in St Moritz last summer. Their first child, Amadeus, was born in February. Becker has two more sons, Noah and Elias, from his first marriage, and a daughter, Anna, from a brief relationship. It is difficult to believe that it is now a quarter of a century since a strawberry-blond kid from West Germany, someone who used to go to his coach for pocket-money if he wanted a bottle of Coke, hijacked men’s tennis and became Wimbledon’s youngest champion. “In many ways, I remember it like it was yesterday. But then when I go back on the tennis court, it does feel like 25 years ago. The actual tennis player, the one who is 17 years old, I haven’t seen that guy for a long time,” Becker said. Courtesy of Mark Hodgkinson@Daily Telegraph. Boris Becker now has 2 more than Roger! Amadeus Benedict Edley Luis was born at 12.53pm on Wednesday at a private London hospital, the ex-Wimbledon champion’s spokeswoman said. The boy, who weighed in at 7lb 7oz, is Becker’s first child with his wife Sharlely, 33. Becker has two children – Noah, 16, and Elias, 10 – with ex-wife Barbara, and a nine-year-old daughter, Anna, from his relationship with Angela Ermakova. ”Sharlely and Boris Becker are delighted to announce the birth of their son Amadeus Benedict Edley Luis,” said the spokeswoman. Becker, 42, who lives in London, said: ”Sharlely gave me the most wonderful present. We are overwhelmed and looking forward to a life with our son and brother to Noah, Elias and Anna. ”We are endlessly thankful to add a new member to our family. We want to thank everybody who is thinking of us and sharing our happiness. Boris Becker shocked by Agassi’s confession! Image is everything, as Andre Agassi was once paid a lot of money to say in a television commercial. Boris Becker has disclosed that his view of the Las Vegan has changed for the worse after his contemporary’s confession that he used crystal meth. Shocked, more than a little confused, and saddened is how Becker feels after learning how Agassi snorted the addictive stimulant in 1997, and then, after failing a dope test, dodged a ban by lying to the men’s tour with a letter claiming he had drunk a “spiked soda”. “I’m saddened by what Andre has revealed. Tennis didn’t need this,” said Becker, who suggested that Agassi’s admission in his autobiography was “probably the most shocking thing I’ve heard in tennis”. Becker, who at 41 is a couple of years older than Agassi, cannot understand what motivated his old rival to discuss the “tidal wave of euphoria” brought on by taking crystal meth. To Becker’s mind, the story has damaged both Agassi’s and the sport’s image. Though Becker disclosed in his own memoir that for a time in his career he was reliant on sleeping pills, which he sometimes washed down with whisky, he said he has never used illegal drugs. Agassi took crystal meth with his assistant, Slim, who persuaded the 1992 Wimbledon champion that it would make him feel “like Superman, dude”; Becker said that he tried to avoid bad company during his years of playing professional tennis. More than anything, Becker sounded bewildered as to why Agassi had been so honest in his book about his drugs and his lies. “I’m struggling to get my head around why Andre would want to confess to something so damaging as taking drugs and then getting away with it? Why would he want to be so brutally honest? “I’m really surprised that he would want to discuss such a private part of his life, to talk about such a bad period in his life. I’m sure this will help to sell his book. He doesn’t need the money, though. He’s a rich man,” Becker said. The German, who played Agassi 14 times on the tour, including twice at Wimbledon, said that the American’s public image would suffer. “I like the guy, I want that to be clear. I think he’s a character and he was a great competitor. We had some close matches. He’s become a great man. He’s a great father, and he has put a lot of time and money into his community in Las Vegas. But his revelations are bound to change how people see him,” Becker said. Agassi’s image is not the only one suffering; the ATP’s is as well. Becker said that the story had “implications” for men’s tennis, as the ATP administered the anti-doping tests at that time. “If it had been made public in 1997 that Andre was using drugs, his career, and his life, would have been very different. He wouldn’t be where he is today. Becker does not believe that there is a culture in the modern men’s game of players chopping up, rolling up, snorting and smoking, between matches. “I don’t think that recreational drugs use is common on the tennis circuit now. I don’t imagine that guys like Federer, Nadal, Djokovic and Murray are having more than the occasional beer, and maybe a cigar as well, after a big win. “Everyone knows now that if you go crazy on a Saturday night, if it gets messy, there’s a chance you will be tested on Monday morning, and then you are going to be in big trouble, because you’re going to test positive. Meanwhile Rafael Nadal has expressed shock that the ATP did not take action over Agassi’s admission that he took drugs in 1997 and lied to avoid a ban. “If the ATP covered for Agassi at the time then I think that’s dreadful,” the world No 2 said. He added that “cheats should be punished”. 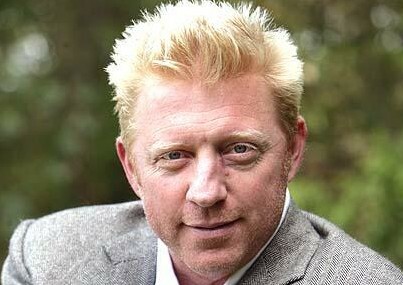 boris becker going for another grand slam! Three-time Wimbledon champion Boris Becker told a live television audience that he will marry Dutch girlfriend Lilly Kerssenberg on June 12 in Switzerland. Becker used a popular variety show to announce his wedding plans late Saturday. Both he and his girlfriend appeared on the “Wetten dass…” (Bet you) show. The former tennis star acknowledged that he had “taken a wrong turn” last summer, when he announced his engagement to Sandy Meyer-Woelden, the daughter of his late former manager. It was broken off after a few weeks and he has been forgiven by Kerssenberg. “Now I don’t want to let her go,” Becker said. Becker has two sons with his former wife Barbara and a daughter from a brief relationship with a London-based model.